Have you heard about the “Every Kid In a Park” initiative? In 2016, the National Park Service will celebrate 100 years. Leading up to this big birthday, every fourth grader and their family will get free admission to America’s federal lands and waterways for one year. This initiative is meant to get more families outdoors and enjoying public lands and in September, families with fourth graders can register to receive their park pass. This 46,000-acre preserve captures the unspoiled glory of Northeast Florida’s coastal wetlands. The preserve includes the Fort Caroline National Memorial, a 16th century French fort and the site of early contact between American Indians and European settlers. You can also take an educational tour of Kingsley Plantation, a historic plantation constructed in the late 1700s. This National Park is located within the Timucuan Ecological and Historic Preserve offering visitors a glance back in time to the antebellum South. Kinsgley is the oldest plantation in Florida, explore the grounds that includes planter's houses, tabby slave quarters and scenic vistas of Ft. George River and coastal wetlands. Located south of Jacksonville, this impressive structure features amazing views and educational experiences. Explore the fort, which was originally constructed by Spanish settlers in the late 1600s, and learn about the history of early settlers in Northeast Florida. Kids will love meeting re-enactors in period dress and experiencing fun activities like historic weapons demonstrations. For 450 acres of beachfront fun, don’t miss Kathryn Abbey Hanna Park, in Mayport by Jacksonville Beach. With 15 miles of hiking and biking trails, playgrounds, sports courts, a freshwater lake, and beach access, this park is a favorite for locals and visitors alike. Spend the night at one of the many campsites or bring a picnic and spend the day. 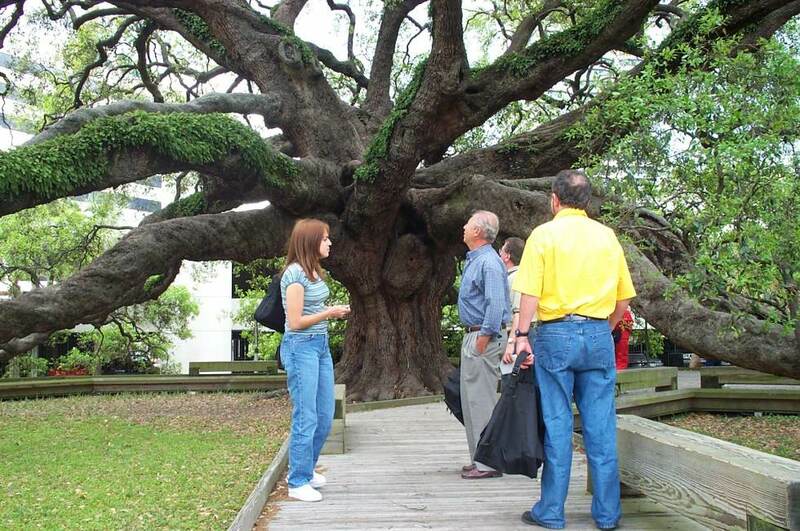 Closer to downtown Jacksonville, on the Southbank, Treaty Oak Park is home to one of Jacksonville’s oldest residents, a 250-year-old Southern live oak tree. Don’t forget to take a selfie with this famous tree! Memorial Park in the Five Points neighborhood is another local favorite and a great photo opportunity. This waterfront park features sweeping views of the St. Johns River and the Olmsted Brothers, world-renowned landscape architects, designed it. For more kid-friendly things to do, check out our family fun guide here. Remember that Kids Free November is just around the corner. During the month of November children will get free admission to many of Jacksonville’s most exciting attractions. Follow us on Facebook or stay tuned to our website for more details!